Yes, it has been a while since you last heard from us! Things are going well, currently farmers in over 97% of all townships are using our app; Golden Paddy is reaching over 2 million farmers each month! Numbers we are quite proud of! Read all about what we have been up to in this newest edition of our monthly newsletter. Impact Terra started the Earth Observation (EO) program, using images from satellites to offer even better services to our users. Aim of our Earth Observation program is to bring customized advice and financial inclusion to farmers. Earth Observation data gives very detailed insights into topics as extreme weather, pest outbrakes, flooding and draughts on a local but large scale. That means that we can offer farmers more detailed advise and inform them about changing conditions that will likely be affecting their crops. How does the crop growth of this farmer compare to others? How much rain will fall the coming week, and therefore does the farmer need to irrigate the crops? The outbreak of pests of diseases; does the farmer need to take action and spray organic or chemical pesticides to protect the crops? Based on the customized information farmers can take potential precautionary measures, this will help them to increase their yields. As we will have much more knowledge of the conditions affecting farmers’ operations, we are able to provide a more detailed picture of what farmers need and how they are doing financially. This information will be relevant for financial institutions who are looking to offer financial services to farmers. Currently these institutions have difficulties developing specific products such as loans and credit assessments and difficulties delivering it to farmers. 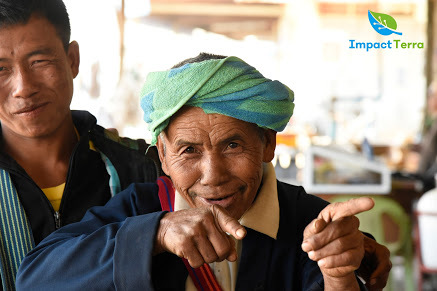 Data derived from the Golden Paddy platform, in combination with EO data, can offer financial institutions insights, helping farmers to access the financial services they need. 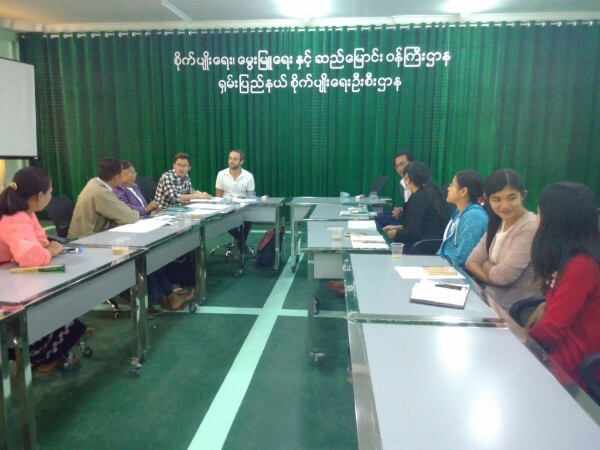 Over the past few weeks we have given an increasing number of trainings and workshops to government staff, discussing problems that farmers in Myanmar are having. 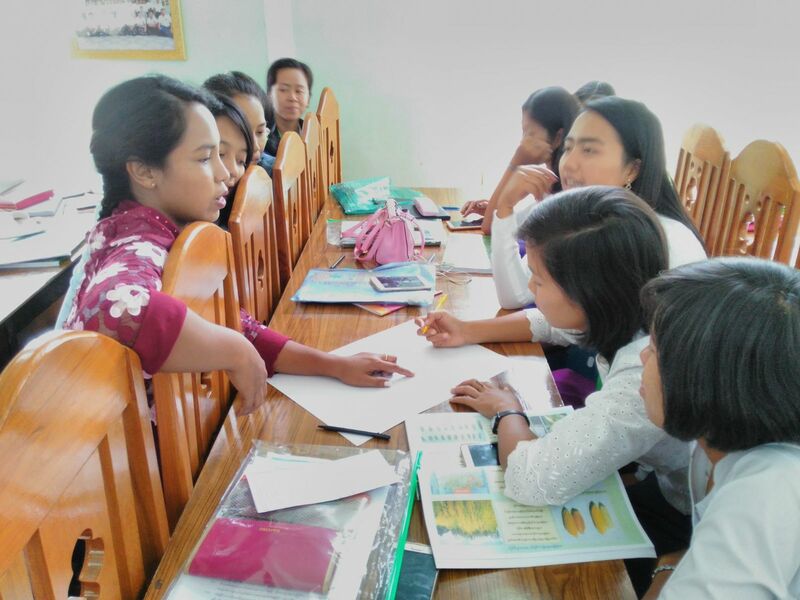 Last week our team was in Taunggyi, where we work in close cooperation with the Department of Agriculture (DoA). 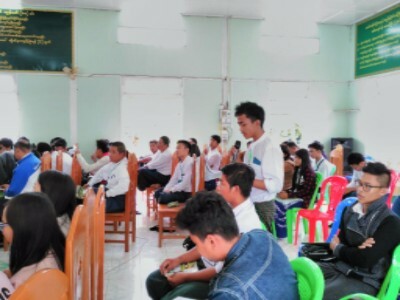 On Wednesday, the team gave a presentation and a workshop to a group of 120 enthusiastic DoA staff members and students from Yezin University and State Agricultural Institute. The central topic during the workshop was how to best serve farmers in their needs. It was great to see that the DoA staff was very passionate in their work to serve farmers, sharing with us the problems that farmers are having. Valuable insights, which help us make the Golden Paddy platform even better. 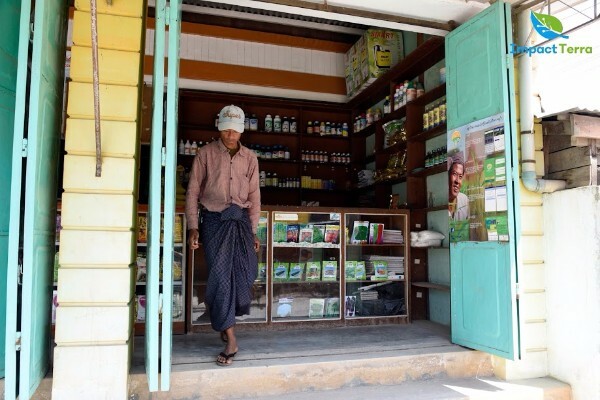 Farmers have a need for high quality seeds, but often these are not available, or too costly. We work together with partners to get all information on where to buy products on our platform. Volatile market prices for tomatoes are a problem for farmers. We will work closely together with the Department of Agriculture to collect all input prices and create transparency. Labor shortage and the lack of finance to buy machinery is a problem for farmers, especially maize farmers, who want to expand their business. Working with financial institutions, Golden Paddy makes financial services available. In June, April and Gerdien joined the Impact Terra team, April as Head of Impact and Gerdien as Head of External Communications. We are expanding our team, looking for more people to join us in our Yangon Office. Are you, or do you know someone, who could be the perfect addition to our team? Have a look at our latest vacancies. Do you want to be responsible for the daily operations at Impact Terra? We are looking for a motivated, hard-working, social and entrepreneurial Chief Operating Officer with 5 to 10 years leadership and business development experience that can accelerate the growth of the Golden Paddy platform and build out our team. Can you bring the Golden Paddy platform from reaching 2 million farmers, to 10 million farmers at the end of 2017? Than you are the Online Marketing Manager we need! 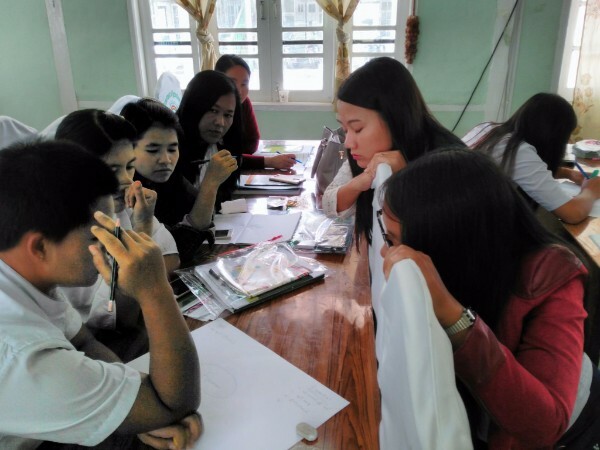 Impact Terra is hosting an open house, as part of Walkabout Yangon, on Friday, August 11. From 10 am - 5 pm you can get an inside look of our office and learn more about what we do!